The simplest variant of Breguet’s Classique is the ref. 7147, a round-cased three-hander with its small seconds slightly offset, positioned at 5 o’clock rather than 6, and which is recessed into the enamel face. This location produces a slight asymmetry which adds a touch of insouciance to what would otherwise be the 18th-century’s idea of minimalism. 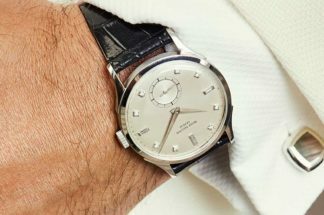 Dressed with a sublime grand feu enamel dial, it’s a dress watch to match to a discreet, tailored suit, rather than some wacky display of sartorial exhibitionism. 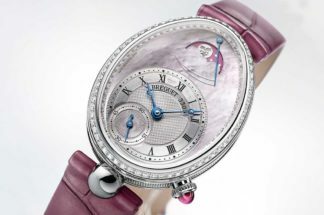 Breguet also offers a version bearing a tourbillon, the Classique Tourbillon Extra-Plat 5377, placing said device – a Breguet invention – in the same location as the enamel dial version’s small seconds dial. Now, imagine a mash-up of the two: launched at Baselworld 2018, the Classique Tourbillon Extra-Plat Automatique 5367 takes the 5377 and dispenses with the power reserve and the traditional, guilloché dial that is pretty much standard Breguet issue. Instead, the 5367 wears the grand feu enamel dial of the 7147, which is the polar opposite of the equally traditional, if ornate, engine-turned dial of the 5377. 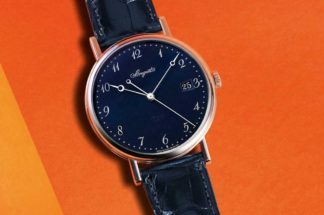 But let’s not be too sniffy about this: whether fitted with a clean, grand feu enamel dial or one of intricate guilloché’d gold, both types featured in the Breguet back catalogue of two centuries ago. Breguet states succinctly, without contradiction, that the “5367 provides a beautifully simple interpretation of the tourbillon, which reigns supreme on a minimalist dial. 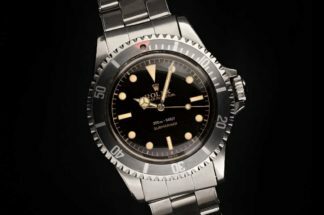 The information has been deliberately pared down to essentials in order to give the mechanism the full attention it deserves.” Hence, the necessary removal of its predecessor’s power reserve indicator. 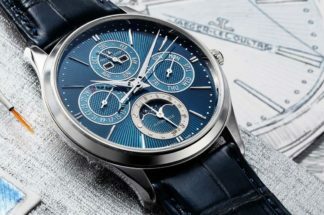 Because the look of the 5367 is so clean, with blued-steel Breguet hands against a pure white background, with black Breguet numerals bordered by a mix of stars and diamonds to form the chapter ring (which is slightly offset toward the 11), the eye is drawn to the tourbillon without any extra stimulus required. It enjoys pride of place, dominating its quadrant. Even so, Breguet enhanced the tourbillon with a titanium cage and hand-bevelled tourbillon bar, topped by a spinel. Those who value the small seconds on the 7147, need sacrifice nothing as the 5367 features small seconds on the tourbillon axis. 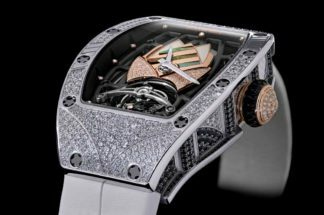 Through the sapphire back the owner can study hand-engraved bridges, the silicon balance spring and an oscillating weight in platinum for greater inertia. The Calibre 581 with 80-hour power reserve is just 3mm thick, and the 42mm watch overall is a svelte 7.45mm deep. But full marks to Breguet for not participating in the my-tourbillon-is-thinner-than-yours wars.